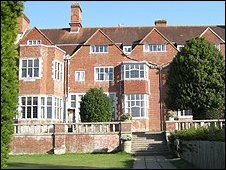 We started off at Avon Tyrell and played for a lovely wedding there, and then we moved on to Thorney Island where we played for a military function. 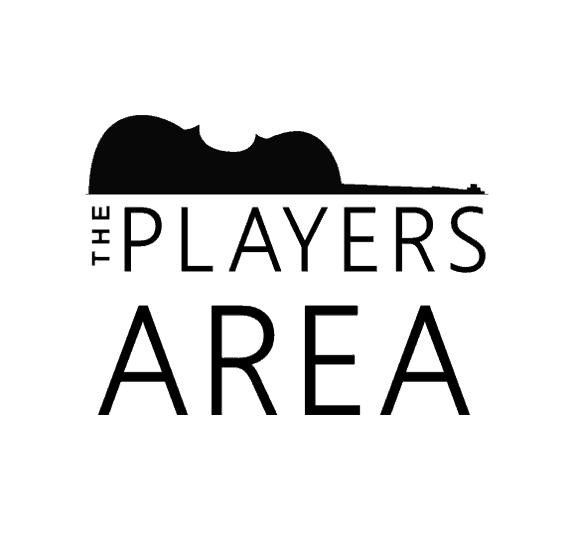 This Saturday the quartet played at two functions. 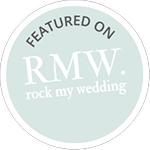 It is actually quite unusual for us to be able to fit two into one day – as often we are at weddings during the afternoon and not able to do two weddings in one. But on Saturday we were at the Tran wedding in the New Forest followed by an Officer’s Regimental dinner over on Thorney Island. We knew we were in for a long day so we packed the car full of supplies to keep us going throughout the day. Sophie – home-made pesto bread (yum yum), Ruth – homemade roast parsnip soup, Amy – crisps and fruit, Anna – potato salad and bean salad. Oh, an multiple flasks of tea! We started the day at 10.30am and drove over to the activity centre at Avon Tyrell in the New Forest. For Anna it was quite bizarre to be playing here as she brings a lot of school pupils here from time to time. It’s a wonderful rambling old house situated in the heart of the New Forest where kids can go along and do various activities. 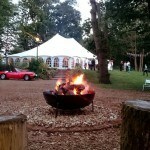 And it also acts as a wedding venue too! Tan and Jas had booked us to play for 4 hours – during the ceremony, drinks and dinner too. 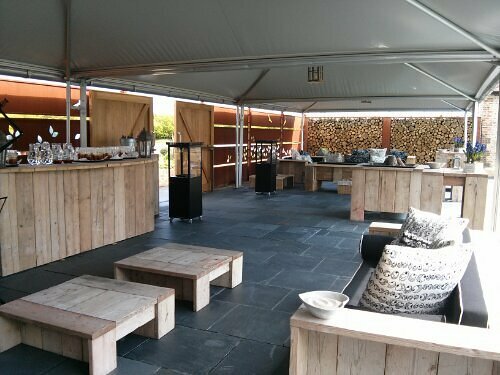 It was a rather windy day on Saturday and when we moved out to the marquee to play for the drinks reception the marquee did a good job of not quite blowing away! We were so grateful to the couple for allowing us to eat some of their yummy buffet dinner – a really tasty spread of lovely dishes for us. And it was wonderful to get some hot food on our long day! At 4pm we played our final piece and packed up and made our way out to the car. Playing at a wedding for four hours is quite tiring and we seriously considered parking up the car somewhere quiet and having a quick power nap in the car until our next gig at 7pm! 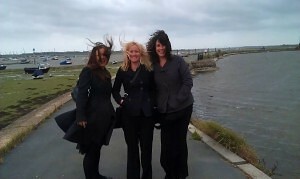 We drove over to Emsworth with the plan of stopping in a couple of pubs before the evening function. 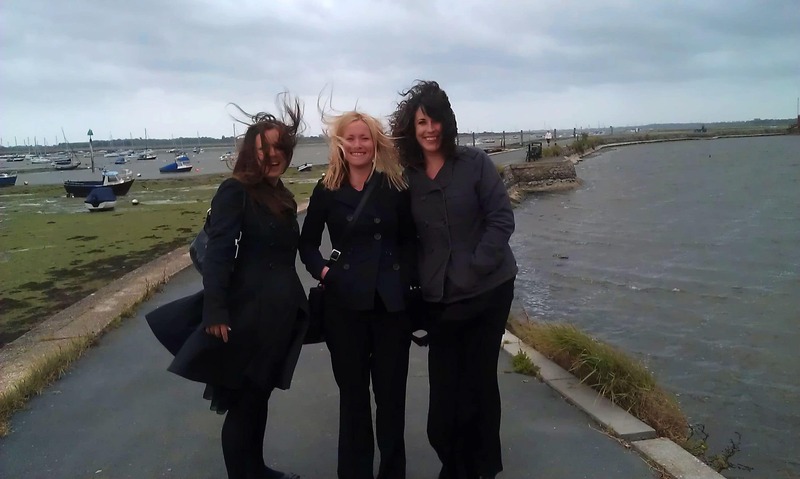 While at Emsworth we decided to go for a little walk along the quay. 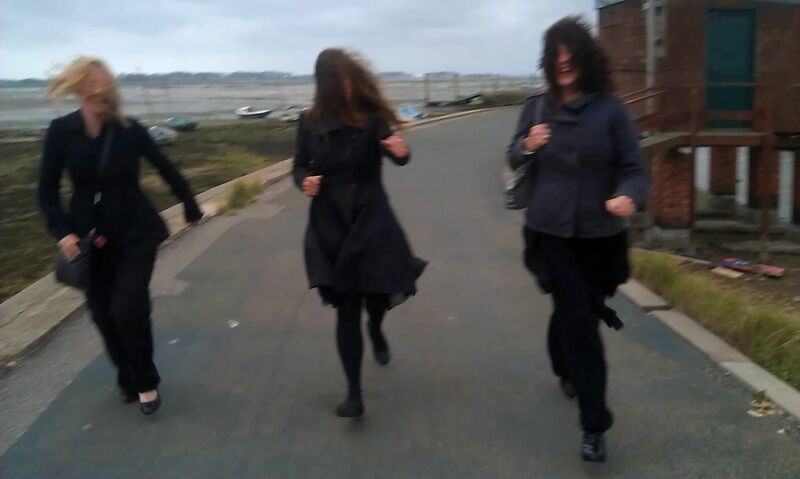 The afore mentioned wind was very good at blowing the cobwebs out of us, and we took some amusing photos of our wild hair on such a windy day. There was something quite surreal about us running along the quay dressed all in black with long hair in the wind! Sophie then drove us onto Thorney Island (via a wrong turn) and we signed in to the officer’s mess. We set up and played for a regimental dinner (Ladies Night) of around 60 diners and really enjoyed the requests we got via TBQ Jukebox. Metallica, Nirvana, AC/DC, Led Zepellin. We are thinking these guys are fans of the rock music! We look forward to playing again for this regiment at Thorney Island and are busy expanding the TBQ Jukebox repertoire list so there is even more to choose from next time! We finished up at 10.30am and the regiment had ever so kindly made us some sandwiches which we appreciated. 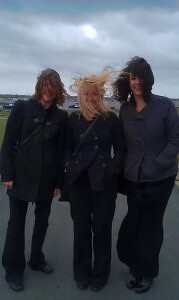 We all had a well deserved glass of wine, ate our sandwiches and polished off some of the salad from earlier in the day. 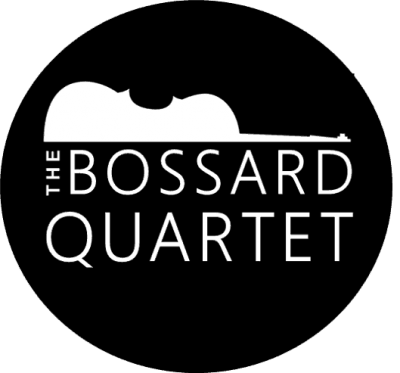 We got home at 11pm – all, I think, rather exhausted, but very happy to complete a full day of fun playing with The Bossard Quartet!